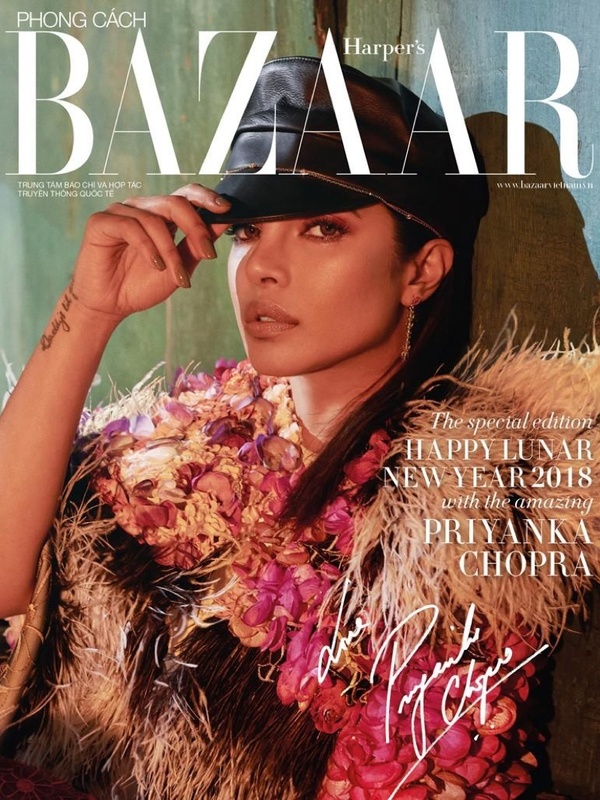 Actress Priyanka Chopra graces the February 2018 online cover of Harper’s Bazaar Vietnam. Photographed by Greg Swales, the ‘Quantico’ star poses in a colorful frock. For the accompanying spread, Priyanka turns up the glam factor wearing a luxe mix of dresses and gowns. Stylist Roderick Hawthorne selects pieces with ruffles, fringe and sequins for the fashion shoot.